The 90th Anniversary Gala Dinner on Friday 4 November will celebrate our extraordinary history and raise critical funds for our international capacity building program in the Pacific. This program makes a tangible difference to families and communities in the Solomon Islands, Papua New Guinea, Fiji, Timor-Leste, Vanuatu and other Pacific Island nations. Gala Dinner tickets and Conference registrations are on sale now and Adjunct Professor Ann Brassil, CEO of Family Planning NSW, is looking forward to this rare opportunity to hear from international and local thought leaders and celebrate with our many passionate supporters. 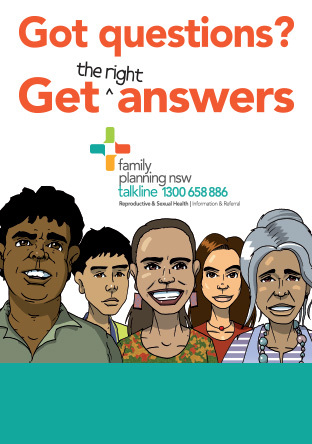 "Family Planning NSW is for every body in every family. I can't wait to be challenged by new ideas during the Conference and then spend Friday evening celebrating with our wonderful friends and supporters," Adjunct Professor Brassil said. Guest speakers at the Gala Dinner include Wendy McCarthy AO, Elizabeth Koff, Secretary, NSW Ministry of Health and Jon O'Brien, Catholics for Choice. The night will be hosted by the wonderful social commentator, writer and comedian, Jean Kittson. Adjunct Professor Brassil is extremely proud to lead an organisation with a history of delivering vital services to families and communities in NSW and abroad. "It is remarkable what has been achieved by Family Planning in almost a century, and I look forward to rising to the challenges ahead" she said. For full details of the Conference program and to purchase tickets for the fundraising Gala Dinner, visit www.fpnsw.org.au/conference2016. Family Planning NSW is the state's leading provider of reproductive and sexual health services, and experts on contraception, pregnancy options, sexually transmissible infections (STIs), sexuality and sexual function, menstruation, menopause, common gynaecological and vaginal problems, cervical cancer screening, breast awareness and men's sexual health. We are an independent, not-for-profit organisation that recognises every body in every family should have access to high quality clinical services and information and we provide a safe place for people to talk about their most intimate and personal issues. Family Planning NSW has clinics operating in five centres across the state; Dubbo, Newcastle, Fairfield, Penrith, and Ashfield. We are also a registered training organisation providing accredited courses to more than 1300 doctors, nurses and allied health professionals every year. Since 2009, as Family Planning Australia, we have worked in partnership with communities in the Pacific, training and building capacity in collaboration with Australian Aid. Sandeep Prasad is an Ottawa-based lawyer and activist who currently serves as Executive Director of Action Canada for Sexual Health and Rights, an organisation committed to advancing and upholding sexual and reproductive health and rights in Canada and globally. He is a leader in the efforts to advance sexual and reproductive rights within the work of key UN bodies. Sandeep will speak at Family Planning: The Next Generation about the United Nations Sustainable Development Goals and the future of reproductive and sexual health across the globe. Jon O'Brien is president of Catholics for Choice (CFC), the leading pro-choice organisation advocating for sexual and reproductive rights from a standpoint of culture, faith, justice and morality, based in Washington, DC. Mr. O'Brien works across the globe to present a visionary approach to reproductive health policy, focused on advancing reproductive health access for all women and increasing public support for abortion and contraception. He speaks for millions of Catholics in the US and abroad when he challenges the powerful Catholic hierarchy on these issues, urging a greater respect for core Catholic values of individual conscience and social justice. Professor Sullivan is an internationally esteemed public health physician with over 24 years' experience as a medical epidemiologist, specialising in the fields of perinatal, maternal, sexual and reproductive health. Professor Sullivan has a strong commitment to social justice and is nationally and internationally recognised for her innovative program of population health and health services research that focuses on vulnerable reproductive populations, specifically Aboriginal women, mental health, substance use (drug and alcohol), severe rare illness in pregnancy, pregnancy in prison and infertility. She has increasingly focused on health inequality among mothers and the immediate and longer term health impact on their infants. Ms Kittson's recently published book, 'You're still hot to me' reflects on her personal experiences of menopause and is a fact-filled conversation starter. A comedian and active health campaigner, Jean was amazed at what she didn't know when she hit menopause and given that 1.5 million Australian women are menopausal at any one time, she wondered why the subject was discussed so little and at times done so with hushed tones. Wendy McCarthy is a long-time campaigner for the rights of women and children. She is an experienced manager and company director who began her career as a secondary school teacher and is passionate about the power of education. For over four decades she has been a teacher, educator and change agent in Australian public life. She has worked with government, corporations and community based organisations in education, family planning, human rights, broadcasting and media, public health, heritage and overseas aid and development. She has held national and international leadership roles in many of these areas. Significant leadership roles in leading national bodies include eight years as Deputy Chair of the Australian Broadcasting Corporation and a decade (1996-2005) as Chancellor of the University of Canberra. These non-executive roles were held concurrently with her executive roles as CEO of Family Planning Australia, General Manager Marketing and Communications of the Australian Bicentennial Authority, and CEO of the National Trust. With a strong interest in making a difference to the health system, Elizabeth Koff began her career as an allied health professional working in a range of clinical setting both in New South Wales and Victoria. She has also held a number of senior executive planning and operational roles within the New South Wales health system, which included the Director of Population Health, Planning and Performance in South Eastern Sydney Illawarra Area Health Service and the Director of Clinical Operations South Eastern Sydney Illawarra Area Health Service. In 2010, Elizabeth was appointed Chief Executive of the Sydney Children's Hospitals Network. Elizabeth has memberships in a variety of national and state boards and committees including; Australian Healthcare and Hospitals Association and New South Wales E-Health committee. She holds a Bachelor of Science and Diploma in Nutrition and Dietetics from the University of Sydney and a Master in Public Health from Monash University.